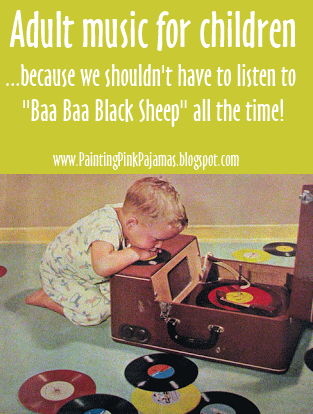 Because we shouldn't have to listen to "Baa Baa Black Sheep" all the time! A week and a half ago C and I went on a mother-daughter road trip, and I made a bunch of new CDs for the trip. Amber from Because Babies Grow Up went on a road trip last week as well, and in Monday's post she asked her readers what their child's favourite CDs are. So I thought I'd share our strategy for mixed CDs, and some song suggestions. Some other kid-friendly artists to try are: The Beatles, The Irish Rovers, Elvis Presley, and just about anything from an upbeat 50s or early 60s album. Of course, there are tons of options - these are just a few suggestions. What kind of kid-friendly adult music do your children like? I'm thinking of giving ABBA a try since I loved it! And good old 50's music is awesome. My 8 month old loves Coldplay for quiet down before the nap time. Also a great kid's artist is Marnie and Friends. Emma is obsessed with Winnipeg's The Duhks (or is it Dukhs, I always get that confused) song, "You Don't See it". Not a bad song to have to play over and over again in the car. Thanks for the suggestions, gals! Becky, I checked out The Duhks on MySpace - good stuff! I may download their CD for me! Other kids music they like are some of the Wee Sing CDs and Signing Time CDs. 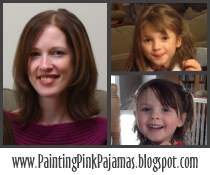 Thanks for compiling this great list! I love it when my son listens to music that I can not only tolerate, but enjoy. For his 3rd b-day, I purchased a vintage record player... can't wait to try it out! I spent so much time listening to my record player when I was little - I had so many great book & record sets! I'm sure your son will love it, and it a way to teach gentleness! Kids' music can drive you mad! If you like poetry you could try Calico Pie by Paul Bradley. He sets English poetry to music for kids. www.crispyjuice.com. You get to learn the poems too! Thank goodness for washable ink!